Perfect decoration for your Day of the Dead Party! 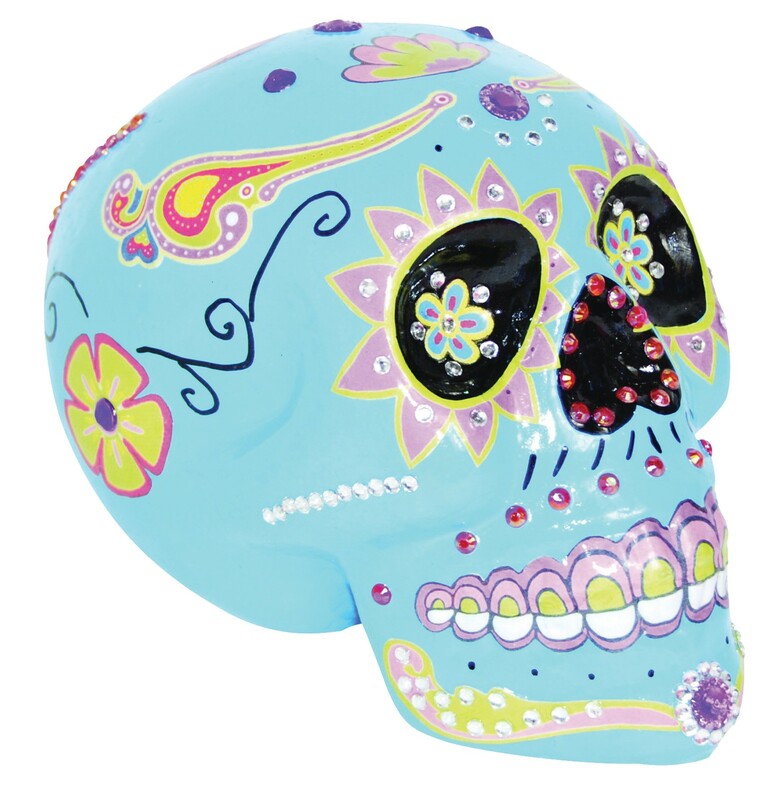 Colorfully decorated skull in popular holiday theme. This measures approximately 7.5in x 5.5in x 5.9in Blue.